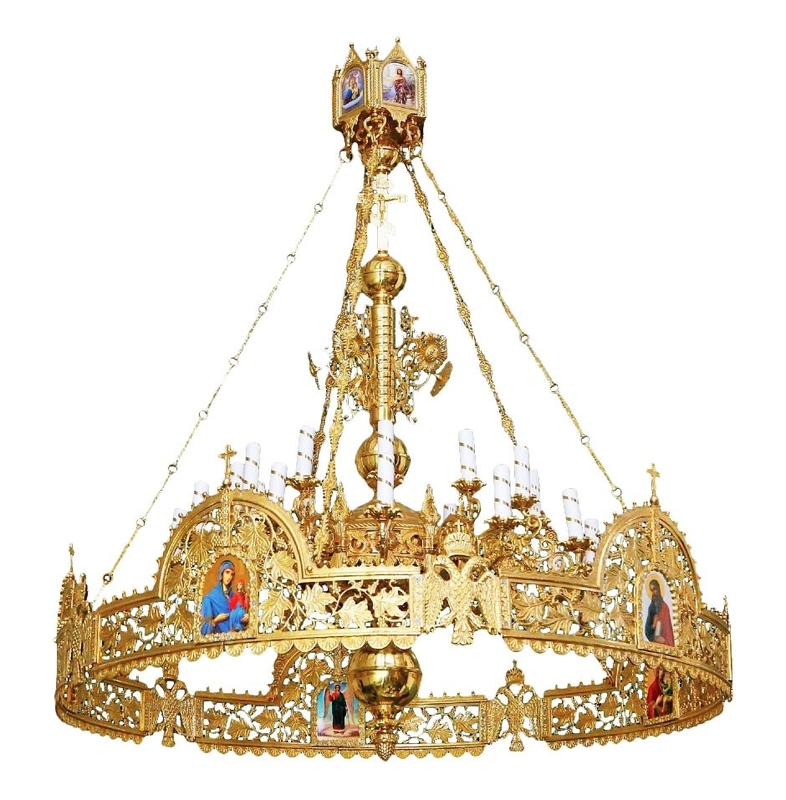 One-level Byzantine church chandelier with horos - 24 lights - Istok Church Supplies Corp. Traditional Orthodox Christian church chandelier (horos). Brass, hand-casting and hand-polishing, lacquering. Diameter: 55 '' (140 cm), height 63 '' (160 cm).